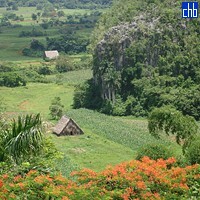 With its unbeatable position overlooking the Viñales valley, Los Jazmines is one of the most renowned hotels in Cuba. It's also a great bargain. The views alone are worth the price. But this hotel also has plenty of charm. 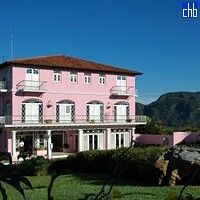 The main building in a Mediterranean neo-colonial style rises three-stories over a swimming pool suspended on the very edge of the valley. A pool with a view. We love it! However, poolside "animations" for tour groups and (mainly) Cubans families on weekends are a slap in the face for visitors wanting to savior the solitude in silence. 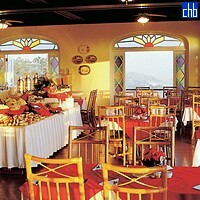 The top-floor restaurant, cross-ventilated through French doors, exudes yesteryear charm and has the same stupendous views. Its therefore easy to forgive the ho-hum food. The mahogany bar tempts you to light up a cigar and quaff a mojito. There's also a disco here, but forget it. 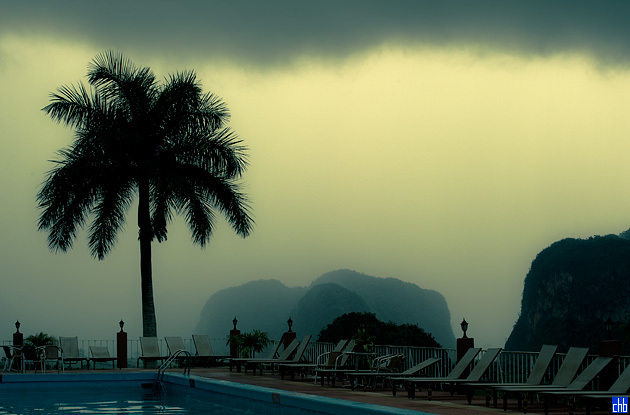 You're here for the scenery and Viñales' pickled-in-aspic lifestyle. The Los Jazmines main building is graced with tilework, wrought-iron balconies, and stained-glass mediopuntos (half-moon windows), all in elegant traditional fashion. Bedrooms here are larger than the newer units in the modern adjunct on the hillside; either way, ask for an upper-story room to guarantee the best views. We also like the 16 more rustic duplex cabañas beneath the pool. But furnishings (especially the tired fabrics) screamed out for upgrading at our last visit. 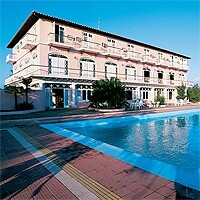 However, as at the nearby Hotel La Ermita, its difficult to rouse the staff from their lethargy. And we're concerned at upkeep here. Not least, the plumbing and ephemeral water-supply are serious deficiencies that need a radical overhaul. 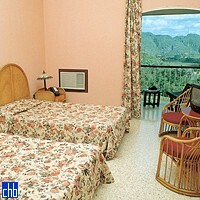 If Cubanacan can resolve these issues, then this hotel is definitely preferred to the Hotel La Ermita. For those who love nature and outdoor activities, Los Jazmines, located 2 km away from the village of Viñales, offers attractive ecotours. Outstanding among them are The Way to the Pincushion Hills, leaving from the hotel and going deep into the Valley to the Archaeological Mural; Nature at its best, ideal for bird watching, and the Secrets of an Underground World, a speleological tour of the Cavern of Santo Tomás that also includes a visit to the Moncada farmers’ community. All ecotours are designed for people of all ages, as they do not call for additional physical effort. 78 Double Standard rooms, 16 of them in bungalows with air conditioning, balcony or terrace, private bath, safe box, 110 and 220V outlets, facilities for disabled, minibar, radio, telephone, satellite TV.